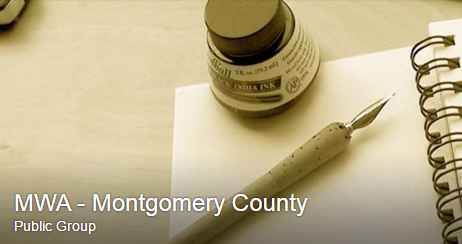 MWA Montgomery meets monthly on alternating second Wednesday nights and second Saturday mornings at the Mid-County Community Rec Center in the Aspen Hill neighborhood of Silver Spring. Each meeting features a dynamic lecture or workshop on the craft of writing, marketing, publishing, or other topics of interest to the membership. Our speakers range from local to nationally recognized authors, editors, and booksellers. Members include writers at all stages of their writing lives, from those just starting out to multibook published authors. In addition to presentations, we like to showcase our writers in many community events, including the the Kensington Day of the Book Festival, and the Gaithersburg Book Festival. Volunteers for these events are always needed. Visit our News or Calendar to find out what we’re up to this month!